Members of the New Canaan Police Department participated in the Law Enforcement Torch Run, a three-day run with the Flame of Hope, which made its way through Darien June 10. The run covers 530 miles through 100 cities and towns and finishes as law enforcement officers, Special Olympic athletes, and hundreds of volunteers run the final legs and carry the torch to kick off the 42nd Annual Summer Games at the Opening Ceremony at Southern Connecticut State University in New Haven. The Law Enforcement Torch Run is Special Olympics' single largest grassroots fundraiser and public awareness agent. 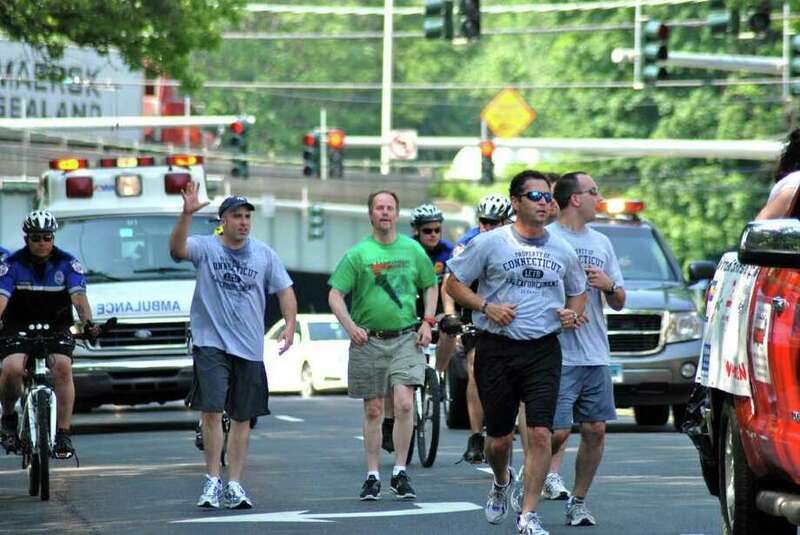 The Connecticut Torch Run Program raises more than $500,000 each year for Special Olympics Connecticut with fundraisers including Tip-a-Cops, Cop-on-Tops, the Torch Run and much more.